When researching for Practice Management software some major boxes need to be ticked to satisfy all your needs. Most will have time and matter management, accounting including a GL, some will have calendar management for ticklers and appointments, few will have document and case management. However more boxes ticked may or may not have a direct relationship to cost. What are the other boxes that have an indirect affect on your computers and devices you currently use and that would be the two types of software in that they are either installed on a server, computer across a network or they are web-based. What does web-based mean? That you access the software using a browser. What type of browser? Some programs have limitations but most current software are cross platform capable. Where do you go to find the right solution? Find a reputable consultant to help. A sign of a good consultant works with many software providers to ask the right questions, to ensure when you upgrade one program it does not render other programs useless. While change can also be uncomfortable for many, if you retain the right consultant to manage the change, it will be conducted with thoughtful anticipation and collaboration. This entry was posted in Change Management and tagged CloudComputing, uLaw. Bookmark the permalink. 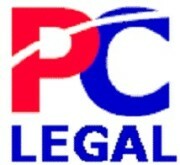 ← PC-Legal PCLaw® Training is Saskatchewan Law Society Approved!